The thriving Byzantine Empire produced a particularly fine standard of art and architecture between the 4th and 7th centuries. Many well-preserved examples of this rich archaeological history can be found in Syria. In particular, the legendary Dead Cities of northern Syria were largely unexplored until recently and this book provides a fascinating insight into the once-thriving towns, including their markets, houses, halls, bath-houses, churches, temples and tombs. The population of the limestone massifs had boomed as Roman soldiers were encouraged to settle the land and irrigation schemes increased its productivity. Syrian olive oil was exported all across the Mediterranean world and, with a good income and only seasonal farm work, the residents turned their energies to building on an unprecedented scale. Many of the buildings are family farm-houses or community facilities, but of particular importance are the hundreds of churches which were built. Numerous pilgrims visited the area to pay homage to St Symeon the Stylite and the many other monks and martyrs who inspired them. Carvings and inscriptions remain as a record of the art and beliefs of both pilgrims and local people. Some are devotional phrases or symbols; others commemorate the people who founded churches, hostelries and town halls. This book contains a comprehensive set of photographs and reconstructions showing the variety of buildings and relics which have been discovered, including ornamented churches and liturgical instruments, baptisteries, monasteries and pilgrimage sites. 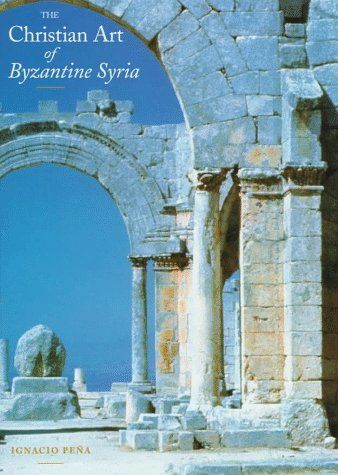 It also includes a chapter on the sites of pagan worship from the same period, and concludes with an examination of the influence of Byzantine art on Islamic and European art, and the eventual decline of the population of the Syrian limestone massifs.